One year ago, Hurricane Maria devastated the island of Puerto Rico. In the effort to rebuild, many U.S. Citizens of the island migrated to the State of Florida. With the influx of more than 500,000 people, many who are skilled workers, family leaders, dedicated professionals and aspiring entrepreneurs, the challenge exists to start over and rebuild a new life in Central Florida. 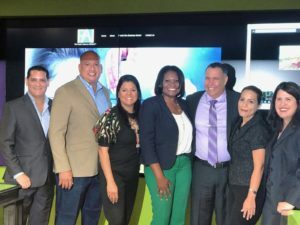 Concerned with the socioeconomic immersion of U.S. Citizens of Puerto Rico migrating to Florida, Gabe Ruiz, president and CEO of Advanced IT Concepts (AITC), is uniting leading members of the Central Florida business and the Puerto Rican community to aid those that want to achieve their goals and aspirations. In July 2018, Ruiz created THE FOSTER ADVANCE INITIATIVE™ (FAI), a not-for-profit organization dedicating its efforts to “the empowerment and development of the population we are all part of in one way or another.” By leveraging the skills and business strategies he’s developed as a successful entrepreneur, Ruiz is focused on giving back to the community. Today, with the informed and generous collaboration of investors, donors, and participants from various industries, FAI’s first project, the PUERTO RICO BUSINESS HARBOR™ was launched on the heels of the anniversary of Hurricane Maria. The PUERTO RICO BUSINESS HARBOR is a venue for structuring the thorough and effective advancement of assistance to the wave of newly displaced business entrepreneurs, workers and family leaders seeking to restart their lives. The PUERTO RICO BUSINESS HARBOR objective provides wise economic integration to support entrepreneurs, business and family leaders obtain value added training, certifications, mentoring and partnerships with established businesses that will help our community prosper. “We are proud to launch this exciting initiative. Giving back is such an integral part of being successful and paying it forward can make such a positive impact. By giving a hand up and not a hand out, we can empower, mentor and support these entrepreneurs, business and family leaders to make positive contributions in our communities. Together we can rise and accomplish great things,” says Gabe Ruiz, President and CEO. The PUERTO RICO BUSINESS HARBOR will have an advisory board consisting of members from the Central Florida business community. Currently FAI is raising approximately $500K to fund the first project. For more information and to be part of something great, visit fosteradvanceinitiative.org. Copyright © 2012 - 2016 - AITC Inc. - All rights reserved.